The European Language Equality Network (ELEN) has as its goal, to the exclusion of any profit seeking, the promotion and protection of European lesser-used (i.e. regional, minority, endangered, indigenous, co-official and smaller national) languages, (RMLs), to work towards linguistic equality for these languages, and multilingualism, under the broader framework of human rights, and to be a voice for the speakers of these languages at the local, regional, national, European and international level. ELEN is a non-governmental organisation. ELEN was established in 2011 based on the former European Bureau for Lesser Used Languages’ (EBLUL) member-state committees, Eurolang, plus many umbrella and individual language NGOs from most EU member states. ELEN’s purpose is to represent the 50 million people, 10% of the EU’s population, who speak a regional, minority, or endangered language (RML). ELEN represents 44 regional, minority and endangered languages in 18 States, so far. Examples of member organisations are language immersion schools such as the award winning Diwan Breton-medium schools organisation, parent organisations such as Rhieni dros Addysg Gymraeg (Wales), umbrella organisations such as Kevre Breizh (Brittany), Kontseilua (Basque Country), the Estonian Bureau for Lesser Used Languages (Estonia), large cultural organisations such as Acció Cultural del País Valencià (Valencia) and Plataforma per la Llengua (Catalonia), and academic institutions such as the University of Mainz – SNEB (Germany) and the Consiglio Nazionale delle Ricerche (Italy). ELEN was formed after the closure of EBLUL which had had its funding cut by the EU. Many NGOs realised that without EBLUL there would be no civil society representation for RMLs at the European and international level. Led by EBLUL member state committees in France, Spain, UK, Estonia, and Eurolang in Brussels, the decision was taken to establish a new, dynamic, grass roots, Europe-wide, civil society organisation. It has resulted in ELEN not only replacing EBLUL, but being boosted with the addition of many dynamic language organisations joining, particularly from eastern and central Europe. ELEN’s everyday advocacy work focuses on the EU, Council of Europe and the UN. As far as possible ELEN monitors all draft legislation that may affect RMLs and acts to intervene in the legislative process in their interest. 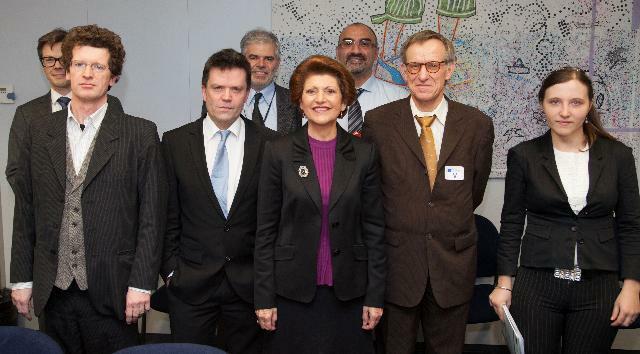 For example, amending EP Reports, inputting into Commission proposals, initiating Reports (e.g the Endangered Languages Report 2013 supported by 92% of MEPs1) and working closely with MEPs, for example, as the Secretariat for the Intergroup for Traditional Minorities, National Communities and Languages. In addition, ELEN undertakes similar actions with the Council of Europe (PACE, FCNM and ECRML) and the UN (for example, on the Universal Periodic Review and with the OHCHR). ELEN have also intervened directly on behalf of national minorities, for example, over the referendum in Croatia over plans to raise the threshold for provision for national minorities to 50%. For this ELEN wrote an open letter signed by 75 MEPs, and supported by the Croatian Government, calling for the referendum to be abandoned as it attacked national minorities at a time when social cohesion is vital and would contravene Croatia’s EU Accession Treaty. This was extensively covered in the Croatian media just before Christmas 20132 . In August 2014 ELEN was pleased to hear that the referendum had been cancelled by the Croatian constitutional court. ELEN also acts locally with its members. Recent examples are the current campaign for French ratification of the ECRML, the campaign for the ikastola in Ziburu, Iparralde, the lowering of the language provision thresholds for Hungarian in Romania, and most recently our Report to the UN HRC (UPR) on actual cases of discrimination against co-official languages in the Spanish state.3 4 In addition, ELEN advocacy work resulted in a favourable recommendation from the UN that France must recognise its linguistic minorities5. One of our most high impact projects is the new Language Protocol initiative where we are working with our members Kontseilua and others on drafting a document for new binding standards on language rights. The Protocol, which will seek to implement the 1996 Declaration of Linguistic Rights, will be launched in Donostia in December 2016 as part of the city’s European Capital of Culture activities6. Given that many EU and ELEN objectives coincide, in terms of protecting national and linguistic minorities, fostering civil society participation, democracy and the rule of law, and the respect for linguistic diversity, ELEN works closely with the EU. For example, ELEN, in partnership with the EU, is establishing a Europe-wide programme to monitor regional language usage, collect data on actual cases of linguistic discrimination, and to hold training workshops in each member state to raise awareness with linguistic minorities about EU language funding and their rights as linguistic minorities7. Because ELEN deals with the promotion and protection of languages, ELEN’s work cross-cuts into other sectors, and ELEN is well placed to play a key role. For example, with DG Enlargement ELEN are able to provide expertise on national and linguistic minority protection mechanisms to civil society stakeholders in accession states with the NGOs who are planning to join ELEN such as those for the Crimean Tatars, Hungarians in Ukraine, Kurds in Turkey, and minority language organisations in Serbia and Macedonia. At the same time ELEN are also able to offer partnerships and enable networking for NGOs in accession states for language communities to participate on EU funded language projects under Erasmus Plus. 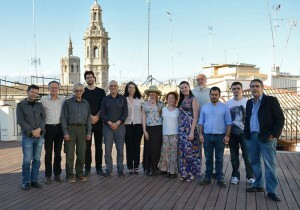 Our most recent success in this field has been the launch of the Digital Language Diversity Project9 after gaining EU Erasmus Plus funding with our member partners: Consiglio Nazionale delle Ricerche – ILC (Italy), University of Mainz (Germany), Elhuyar (Basque Country), and the Karelian Language Society (Finland). The three year project aims to make lesser-used languages ‘digitally ready’, to empower lesser-used language speakers with the knowledge and abilities to create and share content on digital devices, and to help software developers provide state of the art services so as to increase the use of lesser used languages online. Furthermore, ELEN have had a long working relationship with DG Education and Culture, firstly for 25 years as EBLUL, and more recently as a leading member of the Civil Society Platform for Multilingualism, and with many of our members participating on EU language projects. ELEN aims to increase the participation of RML speakers and organisation on the Erasmus Plus programme, for example, by updating members on the new programme and helping to facilitate their applications. Working with ELEN means that new members will be working with some of the most highly qualified experts in the field. ELEN comprises experts who have, for example, written the ECRML, academics specialised in revitalising Finno-Ugric languages, teachers from regional language immersion schools awarded for excellence, specialists in language psychology, as well as leading European figures in national and linguistic minority advocacy work. Moreover, ELEN member organisations comprise the thousands of activists at the local level who are active in protecting and revitalising their languages. Therefore, ELEN members are able to network with other language communities, set up joint language projects, share experiences, develop best practice in regional or minority language protection and revitalisation, as well as disseminate this best practice globally.